For one week only, guests can see Disney’s upcoming “Saving Mr. Banks,” starring Emma Thompson and Tom Hanks, in a state-of-the-art movie theater on the Walt Disney Studios lot in Burbank, California, and then walk in Walt Disney’s footsteps on a special tour of the famous lot. This limited engagement features one show daily at 7 p.m. from December 13th through December 19th. 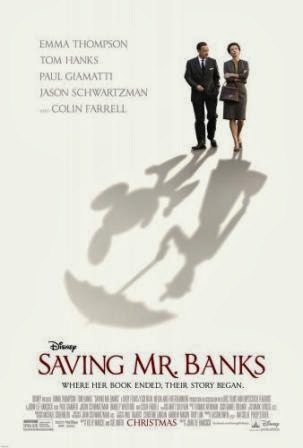 To purchase tickets to this limited and exclusive engagement, call 1-800-DISNEY6 or go to http://movies.disney.com/saving-mr-banks and click on the link on the homepage.